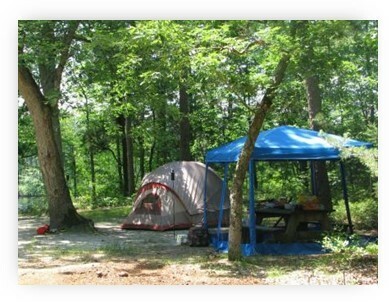 (17/P127) TRENTON – The Department of Environmental Protection’s Division of Parks and Forestry has launched a new online campground reservation system as part of the DEP’s overall effort to improve customer service, Commissioner Bob Martin announced today. 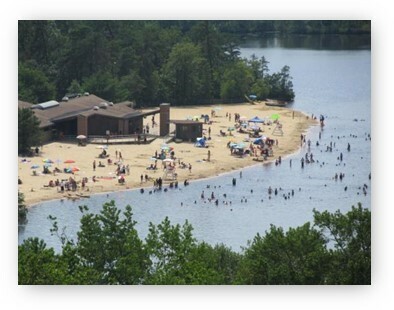 The NJ Outdoors online reservations system can be accessed at www.camping.nj.gov. It provides flexible search capabilities for finding and reserving tent sites, cabins or shelters within the New Jersey State Park System, and is part of a broader, ongoing DEP effort to improve customer service and information services through online and mobile-device technologies. The system, developed in partnership with the New Jersey Division of NICUSA Inc., went live earlier this month. It provides updated maps and park information filters that allow users to more easily check site availability and plan visits around amenities and recreational opportunities available at each park. A real-time notification system that alerts campers of events that could affect their stay or upcoming reservations. “Whether your interest is hiking, kayaking or simply relaxing by the campfire, it is our sincerest hope that residents and visitors will find this new reservation system a convenient portal into planning their camping adventures in a park system that offers a wide range of opportunities for enjoying the outdoors,” said Division of Parks and Forestry Director Mark Texel. The State Park Service boasts 50 state parks, forests, recreation areas, battlefields, and marinas. Camping is available at 19 sites, from Brendan Byrne State Forest in the Pinelands to Stokes State Forest near the Delaware Water Gap to Parvin State Park in Salem County. The State Park Service also recently launched Trail Tracker, a smart-device application that helps park visitors make detailed plans tailored to trails, activities, and terrain that interest them and is available through Google Play, the Apple app store, and the Microsoft app store. The New Jersey Information Division of NICUSA Inc. is the official eGoverment partner of New Jersey, assisting governmental entities with web-enabling their information services. The company has partnered with the DEP on other information services projects, including development of an award-winning WARN NJDEP smart device app that allows the public to report non-emergency environmental incidents.